Facial plastic surgery may do more than make you look youthful. It could change - for the better - how people perceive you. The first study of its kind to examine perception after plastic surgery finds that women who have certain procedures are perceived as having greater social skills and are more likeable, attractive and feminine. The study is not superficial - the importance of facial appearance is rooted in evolution and studies suggest that judging a person based on his or her appearance boils down to survival. The results were published online today in JAMA Facial Plastic Surgery. 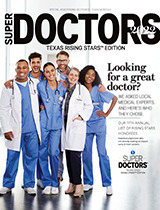 "Our animal instinct tells us to avoid those who are ill-willed and we know from previous research that personality traits are drawn from an individual's neutral expressions," says Michael J. Reilly, MD, an assistant professor of otolaryngology-head and neck surgery at Georgetown University School of Medicine who sees patients at MedStar Georgetown University Hospital. Reilly and his colleagues set out to evaluate and quantify the changes in personality perception that occur after various types of facial rejuvenation surgery, including face lift, upper and lower eye lifts, brow lift, neck lift and/or chin implant. The study involved pre- and postoperative photos of 30 Caucasian women and included survey responses from 170 people. Respondents were asked to rate their perception of attractiveness and femininity, and personality traits (extroversion, likeability, social skills, risk-seeking behavior, aggressiveness and trustworthiness) of each picture they reviewed. No reviewer saw both the before and after photos of the same woman, and no one knew whether plastic surgery had been performed. Post-surgery improvement was detected for four traits: social skills, likeability, attractiveness and femininity. While not statistically significant, a trend toward trustworthiness also was seen. "Having a facelift and lower eye lift were the two procedures that appeared to garner more favorable reviews after surgery, with the lower eye lift carrying a little more weight," Reilly says. He says an earlier psychological study showed that the eyes are highly diagnostic for attractiveness as well as for trustworthiness. "This may explain why the patients who had a lower eyelift were found to be significantly more attractive and feminine, and experienced improved trustworthiness scores," Reilly says. Attempts were made to determine if there was an identifiable factor that may have yielded less favorable responses, but no single variable appears to be statistically significant, Reilly explains. However, some patients were rated for increased aggressiveness and risk-taking after surgery. "Some might say that is negative, but others may want that look," he says. "The comprehensive evaluation and treatment of the facial rejuvenation patient requires an understanding of the changes in a person's perceived aura that are likely to occur with surgery beyond just the traditional measures of age and attractiveness," Reilly adds. He points out that the study was small and included only white female participants, potentially limiting its application for others. "It's reasonable to expect that patients would like to know how each surgical procedure could affect others' perceptions of their personality traits. As we gain more specific knowledge about what these changes in perception are, we will be able to improve outcomes for our patients," Reilly concludes. Reilly's co-authors include Jaclyn A. Tomsic, MD, DMD, and Steven P. Davison, MD, DDS, of Georgetown's School of Medicine and MedStar Georgetown University Hospital, and Stephen J. Fernandez, MPH, of MedStar Health Research Institute.